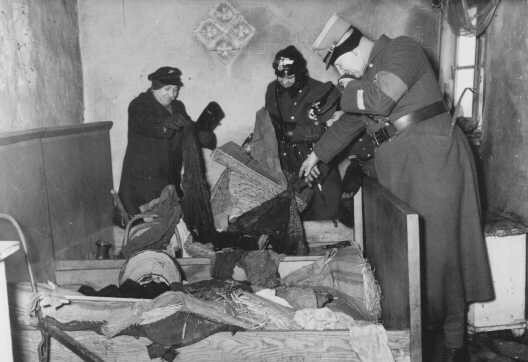 German police raid a vandalized Jewish home in the Lodz ghetto. Lodz, Poland, ca. 1942.